Diversity in Europe: Richness or? Training Course - INTERVIEW WITH KAIA LAANSOO, ASKO TAMM AND RYNALDO PUUSEP - Noored Ühiskonna Heaks! Rynaldo:Cultural diversity in Europe. Discrimination based on the stereotypes and prejudices. 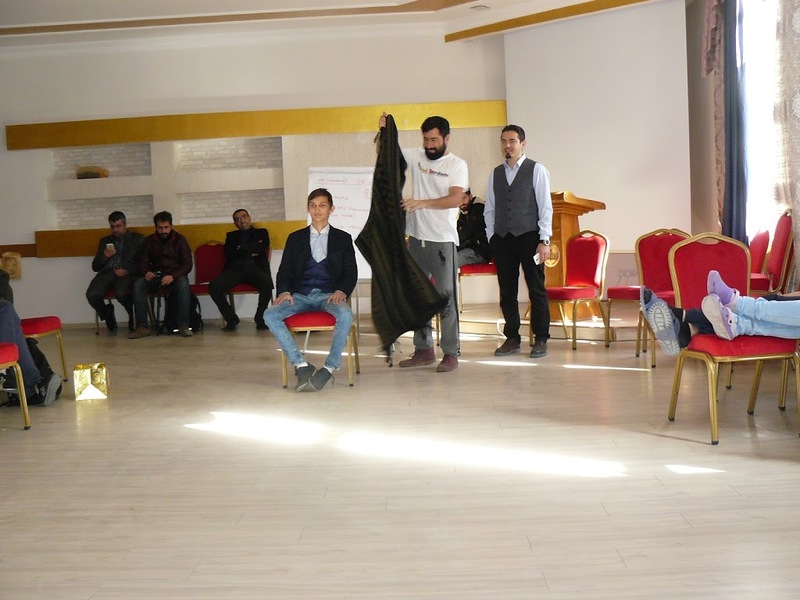 Training course helped youth workers understand the obstacles which might steer towards our society and how to prevent those aforementioned problems efficiently in the future. Kaia:Diversity and different nations living together, migration and the results of it in different countries. Asko: The main topic of the event was, as the name suggests, diversity. We discussed many different subtopics, including diversity’s effect on society and culture, problems introduced by the rise in diversity, conflict resolution etc. Examples ranged from Turkish food’s effect on the eating habits of Germans to the integration of the Roma to the society of Romania and other countries. Apart from the bigger issues that were originally planned to be discussed, participants brought out many personal experiences, which enriched the debate. While the topic of the event was the question of diversity, the event itself also showed a great deal of diversity, as the participants from different countries represented their own culture and thus provided a chance to come into contact with a lot of variety. Rynaldo: Most of the learning was informal. Building social capital, creating new connections, developing relationships with other international organisations & meeting a lot of new people who have common interests. 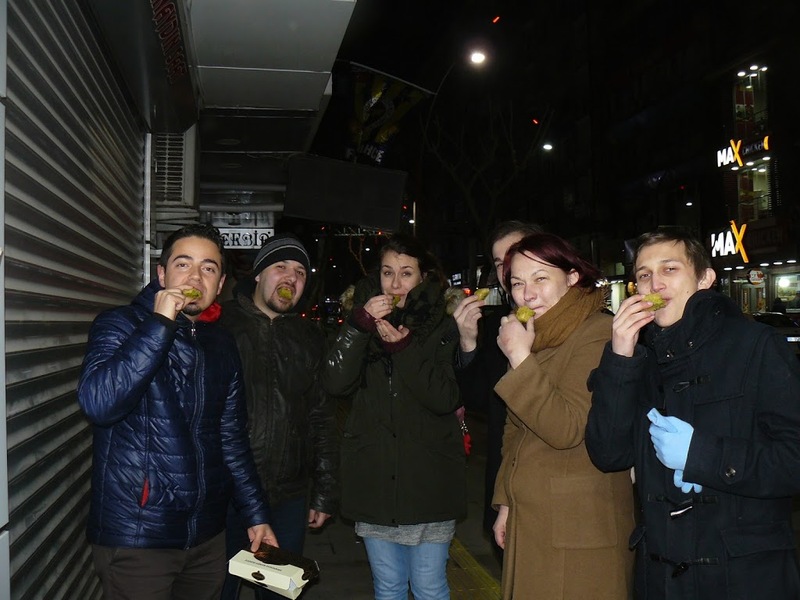 At first I was terrified of the language barrier but it was rather easy to overcome within the first few days. 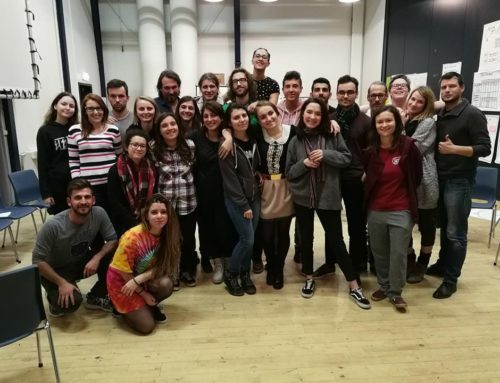 Despite I have frequently participated in training courses for youth workers, it was my first time to participate in an international project so I didn’t know what to expect. There were participants whose English vocabulary and fluency weren’t the best but there were others very helpful. Yet though, all this nonverbal conversation added even more to the glance. It was an enjoyable experiences because everyone who were there – they volunteered and wanted to be in the training course. We learnt from each other and speaking directly with a person from a differenct cultural prisma gave us insights we would have never encountered otherwise. For an example, the Romanians spoke about their winter revolution, the Hungarians told us of their immigration policy and the Turkish people told how they feel about Erdogan and how the coup which happened recently was actually conducted. The most we learnt that people are different & they change ever more when they are brought out from their comfort-zone. They have different behaviours, worldviews, mindset and charisma. If the awareness of the aspects aformentioned is low then it might strive to serious intercultural problems. If the people are aware of the issues then they can manage the situation well and that would bring many benefits to the entire society! Kaia: The biggest learning moments were the discussions and group works. Those activities gave quite a lot to think about and made us realise that people in different countries (with different backgrounds) actually see the world pretty differently. Socialising was another big part of the event and it actually was fun, however, it was one of the biggest learning moments as well. Asko: While the non-formal learning part was, thanks to the experts, highly educational, the informal learning part was even more beneficial in every way: although focusing on learning allowed knowledge to be obtained quickly, actually spending time with people from other cultures is unbelievably rewarding, when it comes to education. Because of that, the parts where I learned the most during the programme, were not the workshops, rather than the parts where participants could spend their free time together. Hearing stories from people with a variety of different backgrounds gives a whole different point of view to all issues. Rynaldo: I really do! There are approximately 175 million people who are living outside of their country of origin. Europe accomodates 88 another ethnicities under its roof. Conclusion is that most of the countries have gigantic struggles to deal with the concern – we need to increase people’s awareness which will lead to bigger acceptance and that will reduce discrimination and prejudication. Field is important and the field needs coverage. Kaia: Yes, I enjoyed every day and every lecture that was given. I am sure that I will continue activities in the field. Asko: I would be more than happy to put the newly obtained knowledge to good use. One of the ways I see myself likely doing so is taking part of an EVS programme. Apart from that, the knowledge can also be put to use when it comes to local issues. Rynaldo: Training course lead several participants to existential crisis in a good way. We had a participant who was called Matej. He had spectacular knowledge in several fields. He has been in over 50 Erasmus+ projects, visited more than 40 countries and the experiences he acquires, he shares his knowledge in a local university. There was another participant called Cove – he made everything that was in his power to make people happy even if his prosperity was somehow deteriorated. The organizers were spectacular as well – I have never seen how someone can manage 25 adults to jump, crawl and run before their first coffee in the morning so these adults actually have fun and they want to do that. The project showed many of us that you can live your life differently – there are a lot to explore in the world and with those experiences it is possible to create awareness among the society, share your knowledge and meanwhile doing that also bring happiness with you. 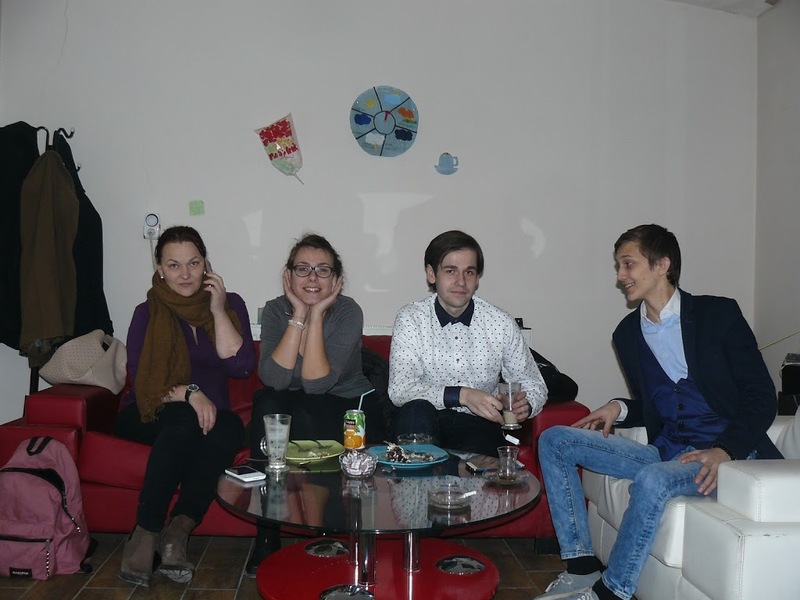 I will definitely recommend NÜH and Erasmus+ projects to my friends because it brings people out of their comfort-zone and that is the point when the journey of learning begins! I really do recommend attending Erasmus+ projects! Kaia: I would recommend the program to everyone who would like to broaden his/her mind. 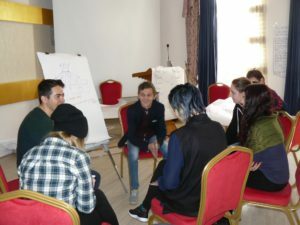 The activity is really educating and it is a good way to get non-formal education which is a fun way of learning and getting new acquaintances from different countries. 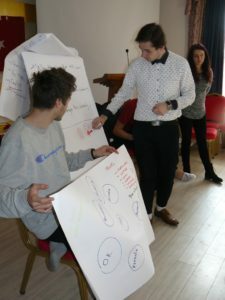 Asko: I definitely recommend taking part of this kind of programmes to everyone who is is interested, for many reasons. First of all, you can learn so much in ways that you could never imagine. Forget everything you know about sitting in a classroom and experience learning in awesome workshops and while having free time as well. You learn from the people and are likely to teach as well, intended or not. Thirdly, you see the country. Every destination is a little bit different and events like this one provide a chance to see the local culture, people, and sights. Taking part of events like this one is a must to anyone who is interested. Rynaldo: It was a wonderful experience and I am going to recommend others the same. All the participants were full of joy, the organisers were stunningly helpful with even the dumbest concerns, the locals were kind and warm and if you are considering in participating – do it! Language barrier won’t become a problem, nobody will be left out and the organisers have put years of effort to hold the event so there shouldn’t be any hesitations! Kaia: I would like to say that the experience was fun which included quite many learning activities. The mixture of fun and learning made the course really enjoyable training with a really relaxed atmosphere. The training itself was a great experience and gave many different aspects of the topic. The lecturers were aware of the topic and gave interesting assignments which raised many questions and gave good basis for argumentation. Asko: It was honestly amazing and now that it has ended, I actually feel a little sad. I loved every part of it: the planned workshops, the people, the culture, the city, the free time activities, everything. I feel as if I definitely need another one of these events. I can’t even express how good it feels.